Permaculture is often difficult to define as it is not so much A Thing, as a way of thinking. 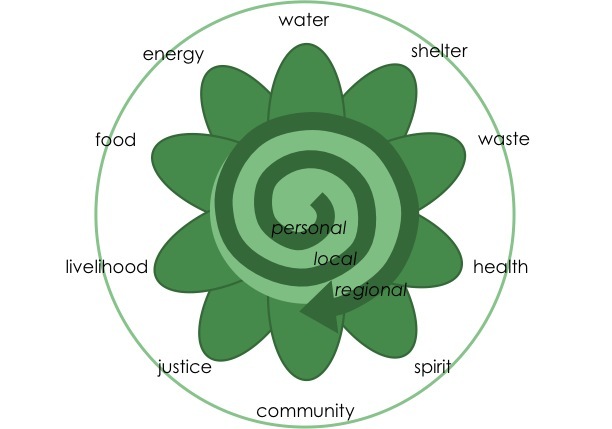 It is in essence an ecological design process which can be applied to all areas of human life. The word is a combination of the words ‘permanent agriculture’ created by the founders of the movement who aimed to find sustainable alternatives conventional agriculture practices. From these roots the movement has evolved to incorporate everything from agriculture to personal well-being, so it is now about creating a permanent (sustainable and resilient) CULTURE. The principles of permaculture design come from observing natural ecosystems. Nature is not only self-sustaining but abundant, so we have a lot to learn from understanding what makes these systems work so well. Nature’s ability to cycle resources is largely down to bio-diversity, many different species making use of the environment in many different ways. An important part of diversity is the way in which these different species interact in order to co-exist. Beneficial relationships are prevalent in nature, contrary to our general perception of a ‘dog-eat-dog world’, it is co-operation that allows ecosystems to thrive and make best use of the available resources. Our human systems have moved away from these principles due to the availability of ancient sunlight, in the form of oil, which has allowed us to live beyond our means. We now need to relearn how to live well with local, renewable resources. We can apply ecological principles to our own situations, by starting to see everything as a system. When starting a business for example, you think about your where your market is and find your niche within it. You can survey that market and identify other businesses that you can form relationships with. Who will supply you with your essential resources? Are there any waste products from local businesses that could be a resource for yours? How can the waste products of your own business be reused either within the business or by other local businesses? 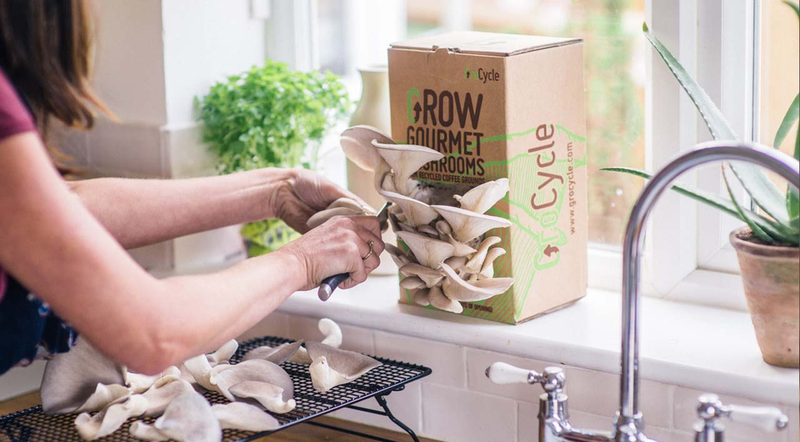 A great example of these principles in action is the Exeter/Totnes based business GroCycle who use used coffee grounds from cafes on which to grow gourmet mushrooms. The mushrooms are sold to local eateries and the coffee grounds become fertile compost for local food growers. The GroCycle mushroom farm is in a disused office building in central Exeter, right where the waste is produced and the food is needed. They fit perfectly and harmoniously within the ‘system’ that is their local food market. Personal design may begin with analysis of lifestyle and habits, and mapping out patterns you see in your life which you may want to change. Your resources will be things like food (diet), money (income), Rest (personal space, sleep), Relationships (fun, support, sharing). Where is there imbalance in your lifestyle, how would you like it to look? What simple interventions can be made in order to redress the balance? Tools such as brainstorming and mind-mapping can be helpful to build up a picture of your whole situation, so you can start to see individual issues in context and find holistic solutions. 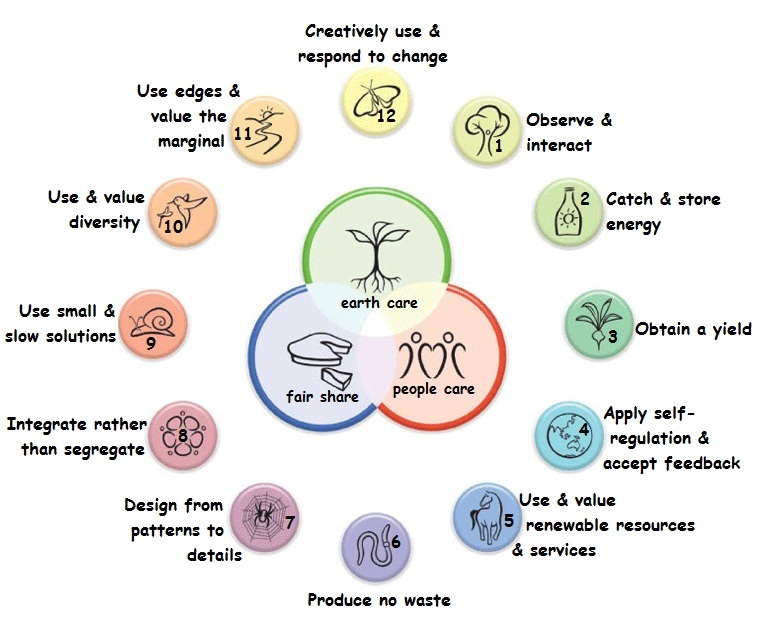 Permaculture design offers many tools which can help us to streamline our systems and keep them balanced and healthy. These tools can be applied as easily to a kitchen garden as they can to a business, a community, a project or us as individuals. A big part of modern permaculture is finding ways for we humans to co-operate in order inhabit and manage these sustainable systems in a way which feels sustainable for us. By teaching us to think like an ecosystem permaculture offers a holistic understanding of our world which allows us to be a harmonious part of it.